The Brave Ones: Bailey's Battle At Christmas. As my family heads into this Christmas season, we were all confronted with the distressing news that one of our own, one of our youngest has been given a terrible burden to contend with. "My five year old nephew Bailey was diagnosed with an aggressive cancerous brain tumor and two tumors on his spine on Thursday 9th December after being ill on and off for approx 5 months. Most of the brain tumor was removed on Sunday 12th December during a 7 hour operation at Melbourne's Royal Childrens Hospital. 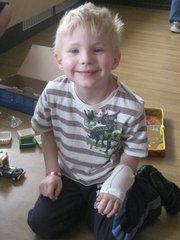 Bailey Lang, taken December 11th December 2010 - day before surgery. Unfortunately it was attached to a couple of important parts of his brain including the brain stem and he will now have to undergo radiation treatment and chemotherapy over the coming weeks and months. The other two tumors are still too small to operate on so his specialists are hoping that they will be able to treat them with the chemo and radiation therapy. Bailey's Dad has been unable to work for the last 6 months because of all the doctors appointments that Bailey has had to try and find out what was wrong with him. Sadly there isn't much money left to help with the cost of Christmas for Bailey and his 3yr old sister Blayne, not to mention the cost of keeping the house going here in Moe and being down in Melbourne with Bailey. I have opened a bank account in Bailey’s name for any donations to be used to help with expenses for Bailey and his family. I have also signed onto Paypal. 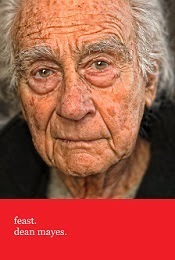 At this time, I am hoping you and your family may be able to make a small donation to help this family in their time of need. "Life is precious...hug your loved ones"
Purchase "The Hambledown Dream" Direct from the Author. 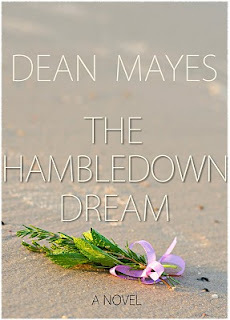 For a limited time, my break out debut novel "The Hambledown Dream" is available to readers, directly from my official site - right here. And for a limited time I am shipping my novel direct to you - anywhere in the world - completely free. Included with each order is a limited edition Hambledown bookmark which I have included as a little keep sake that I hope you will enjoy. 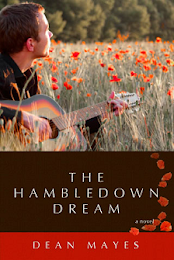 The Hambledown Dream is a wonderfully lyrical and moving journey of two young men who are brought together in the most unusual circumstances. Australian, Denny Banister had the world at his feet; a successful career, a passion for the guitar and he is in love with Sonya – his best friend and soul mate. 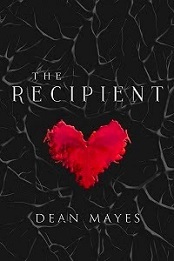 Tragically, Denny is struck down with inoperable cancer & he is destined to die. Meanwhile, Andy DeVries has almost nothing; he is alienated from his family, he moves through a dangerous Chicago underworld dealing in drugs, battling addiction & now he’s gone and overdosed - jeopardizing the only thing that matters to him; a place at a prestigious Conservatory for classical guitar. I don't mind saying that The "Dream" would make a lovely Christmas read. It has music, love, drama and it's just a little hot in places. 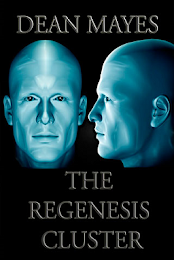 So act now to secure your copy of my first novel which has captured hearts and minds all over the world. Click through the "Add to Cart" button in the top left hand side bar to pay securely, via PayPal. For additional payment options, please contact me directly (refer to the Contact page on this site). Sketching "The Gift" - Part One. This past weekend I took my family up to the city for a family day at the Art Gallery of South Australia where we took in an exhibition called "Desert Country" which featured some stunning examples of Aboriginal Australian artwork that simply has to be seen to be believed. We also stopped by the Museum and wandered around the bio-diversity exhibit which features a wonderful collection of South Australian wildlife displays and interactive companions which kept our four year old boy in particular, thoroughly fascinating for a good couple of hours. My 1 year old daughter was similarly fascinated by it all and she spent the bulk of the time just pointing at everything and saying "Da" to everything. It was really great. While we were there, I took the opportunity to wander up North Terrace a little further and conduct a reconnaissance, if you will, of the University precinct. Specifically, I was interested in The Elder Conservatory of Music. 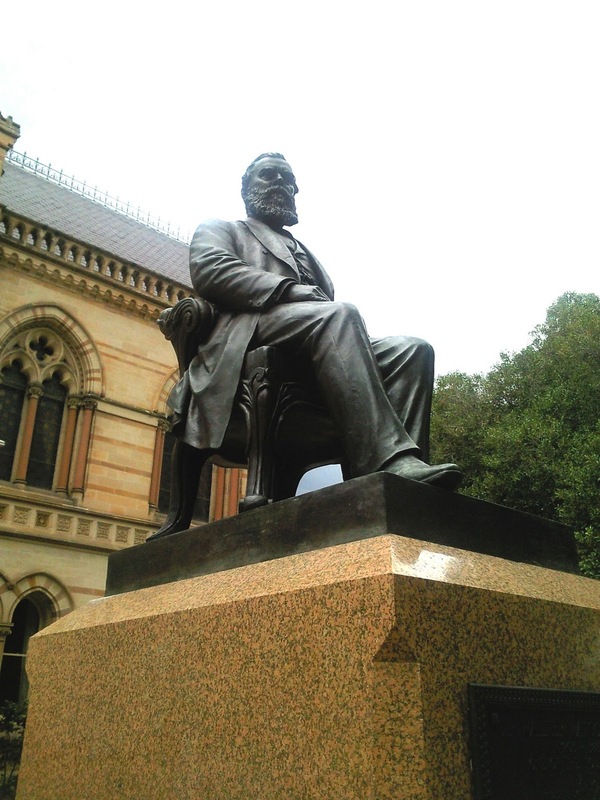 It is here that some of the critical events of my new novel take place and I wanted to get a pictorial study of the grounds as well as the conservatory building itself. I wanted to get a feel for the place - what it feels like to be there - and I wanted also to scope out possible locations for where certain events will take place. 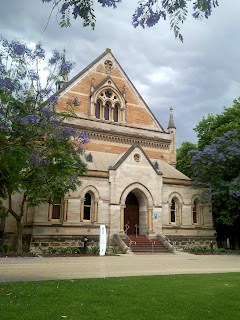 Elder Hall, the centerpiece of the Elder Conservatory of Music in Adelaide. As one of Australia’s oldest and most distinguished tertiary music schools, the Elder Conservatorium plays a leading role in the country’s musical landscape. 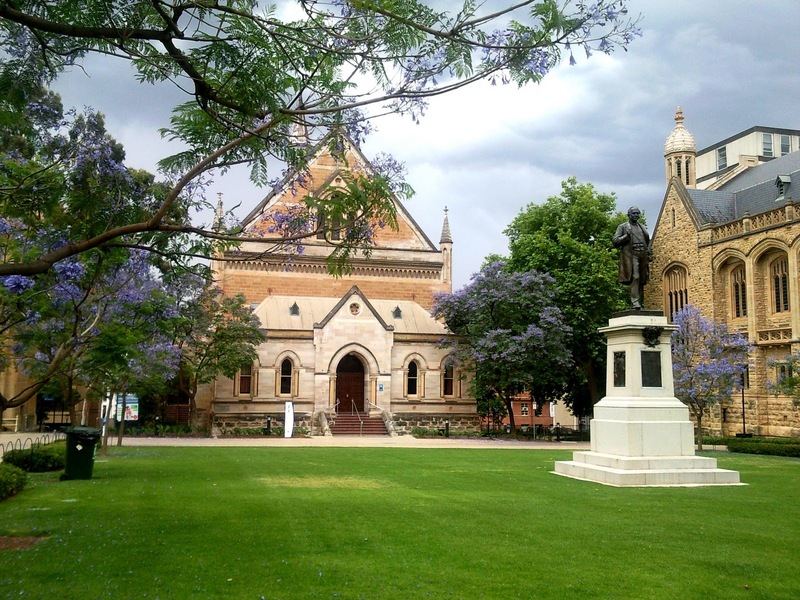 Its origins can be traced back to the foundation of the Adelaide College of Music in 1883. The Conservatorium has close links with other educational and professional bodies within South Australia and across the nation, maintaining strong connections also with important institutions in the UK, USA, Canada, Asia and Europe. Graduates hold positions of national and international influence as performers, composers, educators, scholars and administrators. 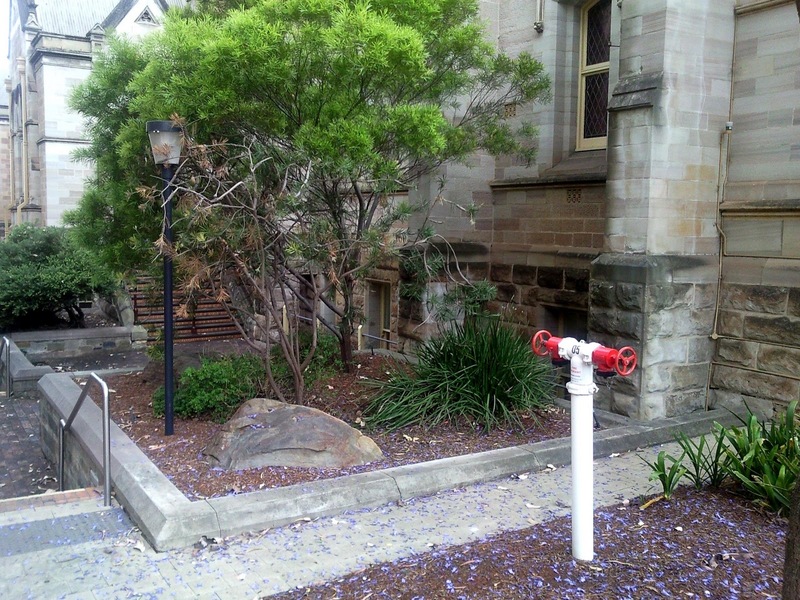 The lawn in front of Elder Hall is a beautiful place to just sit and take in all the loveliness of the University precinct. 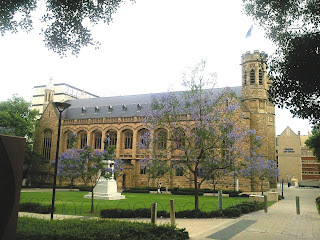 Bonython Hall, a grand building that sits on the eastern flank of Elder Hall. Already, as a result of the photos I have taken, I am refining and thinking about certain scenes which take place that are critical plot points in the novel - where my central protagonist, 8 year old Ruby Crammond, an undiscovered violin virtuoso, is discovered in quite an unusual way. I have chosen the place where Ruby hides herself away and listens to the weekly rehearsal of a prominent Adelaide string quartet, playing the battered violin that had once belonged to her grandmother and dreaming of a life away from her situation of abject poverty. A window just like any other, but it is a portal to a world away from the one Ruby Crammond resides in now. The rock in the foreground sits just a little way from the window in the previous picture. 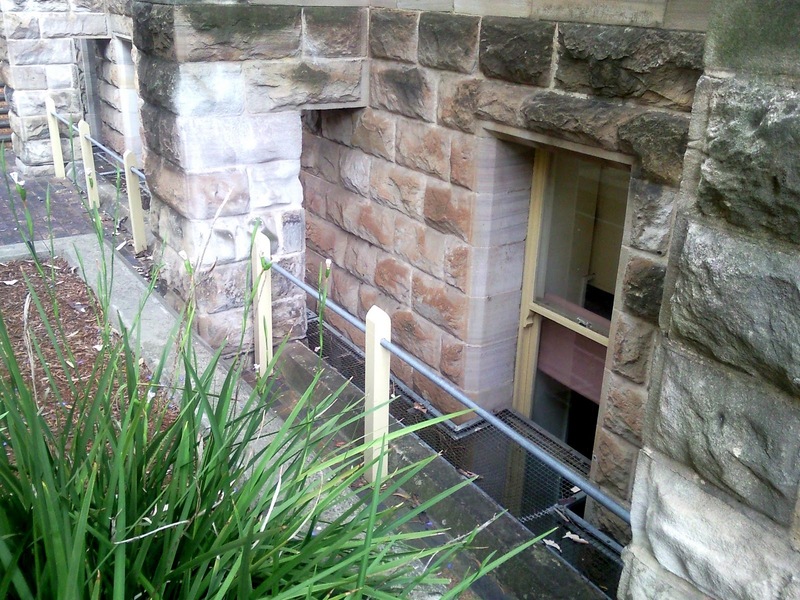 Perhaps the perfect little hiding place for an undiscovered virtuoso. I get a lot of satisfaction out of this process. It allows my mind to think about the story and it helps me to develop the story, the specifics of the story. I've tweeted this past week that I've been stuck in somewhat of a rut. 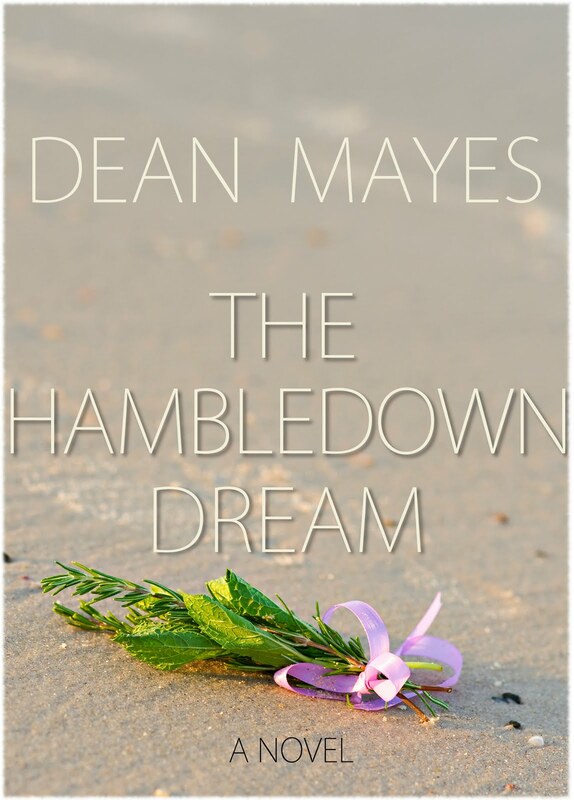 I think that it's partly exhaustion because of the time of year - what with Christmas coming up, the prospect of a well earned holiday on the horizon and also because I have been working hard on promoting "The Hambledown Dream". When I have sat down to write, I have kinda locked up and have been unable to put anything much of value down on paper. So, to be able to get out there and immerse myself in the very environments that I hope to portray in this new novel, is an invaluable thing to do. I imagine that I won't get much pure writing accomplished in the next few weeks. Which is not to say that I won't be doing anything book related. I'll be doing a lot of brainstorming and developing instead - and allowing myself to actually enjoy Christmas. Which is not something, I normally do. But I have two kids now, for whom the magic of Christmas is an all consuming thing, so my steadfast cynicism towards the season is taking a severe battering. Anyway, I have a renewed enthusiasm for a lot of things lately. I am hoping that all of these will bare fruit as I continue on this crazy journey that has come to define who I am - an author. Conversing with giants. Ruby will come to regard this fellow as a kind of imaginary friend.